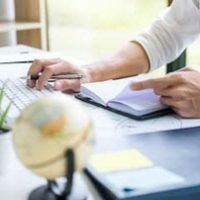 Was 2018 the year you finally started a small business? Whether you are a newbie to being your own boss or have been nurturing a growing concern for several years now, finding ways to increase your profits while protecting your bottom line is always a priority. With a new year just beginning, it is the right time to make a few simple asset protection resolutions that can help you avoid major problems while ensuring future growth. According to the U.S. Small Business Administration, more than 30 million Americans own their own small companies. These account for nearly 70 percent of all new jobs and almost half of all private sector payroll. Whereas in the past, the future was full of struggle for those who dreamt of starting their own companies, today the outlook is far more positive. More than 75 percent of new businesses make it through the first challenging year, and over half are still around and making profits at the five year mark. Be wary of scammers and hackers. The Federal Trade Commision (FTC) warns that faulty investments, financial fraud, and online schemes end up spelling disaster for many small businesses. Take the time to install the proper firewalls on your website, know the people you are dealing with, and carefully review all invoices and payments. Protect yourself against lawsuits. Having enough personal and business liability insurance in place is just the start if you want to protect yourself from legal problems and lawsuits. Make sure you are up to date on discrimination laws, be cautious in terms of not violating trademarks or copyrights, and make sure all products or services offered are safe and conform to industry standards. Get it in writing. Make sure all of the partnerships, agreements, and affiliations associated with your business are carefully detailed in written contracts. Take the time to draw up written policies regarding relations with investors, employees, contractors, customers, and anyone else you deal with. Seek the proper advice. Take advantage of all the knowledge and service providers available that can help to guide your business ventures. Before entering agreements, conducting transactions, or launching a new phase of your business, get the professional guidance you need to make the right choices. At Cavallo & Cavallo, we provide the legal guidance you need to protect yourself and your loved one, along with your assets and your business. To find out how we can assist you, reach out and contact our New York asset protection attorneys to request a one on one consultation in our Bronx or New Rochelle office today.